Each object to move or instantiate can have its custom cursor in the Cursor Visual field (optional). Cursors show the position where an object can be placed (depending on the constraints you defined). Usually Cursors are Prefabs of your project. They can either be a representation of the object or a general cursor (like a circle or a target image). 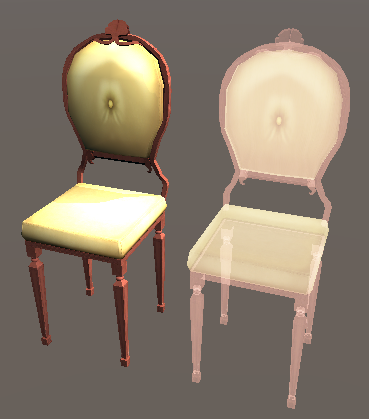 For instance, if you want to instantiate a Chair but before spawning it definitely, you want a representation of your chair while you’re moving around (like a semi-transparent chair), you would define the ghost chair as your Cursor Visual for the chair. Here, the ghost character with the green circle around is a cursor, it shows up when the device finds a flat surface. Then when the user taps on the screen the actual character (Object to move) is placed there and your interactive experience can start.